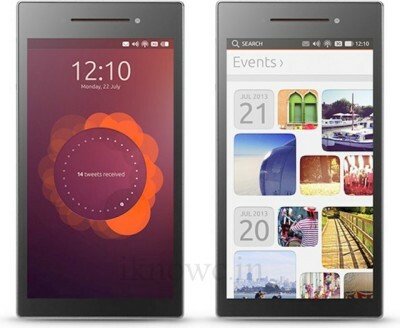 Smart NaMo has announced its upcoming Smartphone, the SmartNamo Saffron X. It comes with 4GB of RAM to make the handset lag free, 128GB ROM (in-built storage). The mobile handset will also support Dual-boot ( Android and Linux). 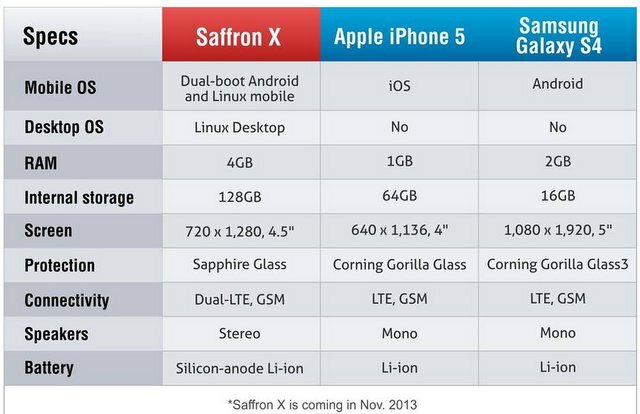 The specifications and features of the Saffron X are really very impressive. The Namo Saffron 1 and 2 will be available from Snapdeal for price of RS 18,000 and 24000 respectively. The Saffron1 and 2 both has 2GB of RAM, 1.5GHZ Quad core processor, up to 32GB of ROM and runs on Android 4.2 jelly bean OS. It comes with 4.5-inch capacitive touch screen display having resolution 1280×720 pixels and about 326ppi with Sapphire glass protection. The Smart Namo Saffron X 4GB ROM and 128GB internal memory. It packs with 8MP rear camera and 2MP rear front facing camera. It features Bluetooth, NFC, WIFI and Dual LTE antennas. It runs on android and Linux operating system. It is 9mm thick. The mobile will be launched in November-December 2013 and will be available there after. There in details on the pricing of Smart-Namo X Saffron. Any smart phone capable of 3G sim video calling direct without skype etc as in samsung or micromax pl help?